Inicio » Noticias Goldcar » DON’T MISS OUT IN BARCELONA! 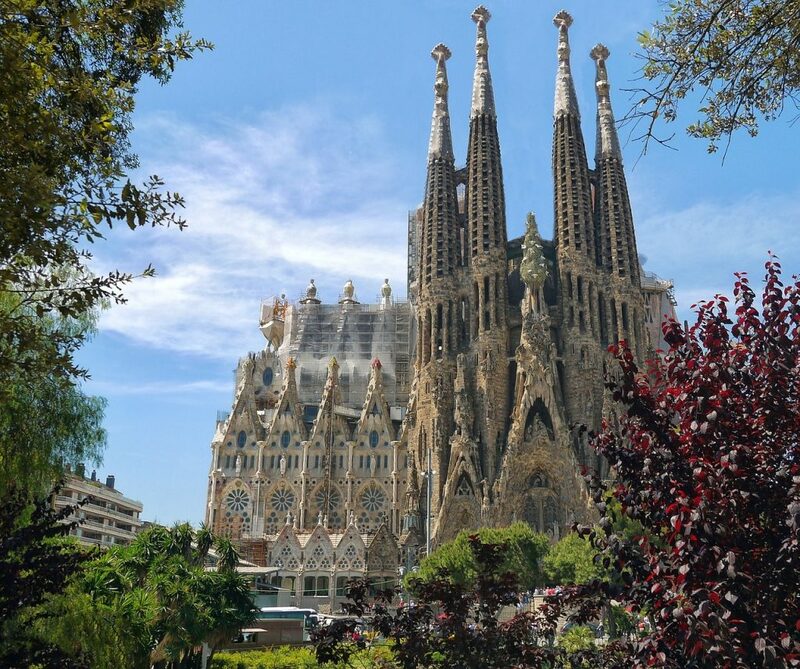 5 places you must visit in Barcelona that never sleeps! One of the most enigmatic and historic cities in Europe, Barcelona has evolved into one of the top tourist destinations on the continent too. Oozing with culture this city pleases young and old, not only with its rich culture; the names leap off of the tongue, Dali, Gaudi, Miro, Picasso…I could go on, but also for its vibrant almost bohemian ambiance that’s as abundant in the daytime as it is when the lights come on in the evening and illuminate the wonderful ‘Rambla’. Barcelona has established its reputation of being the most cosmopolitan, modern and perhaps unconventional city in Spain, a reputation it likes, which is reflected in the many art galleries and museums lining its historical street´s plus the feast of historical buildings and beautiful architecture that the city is famous for the world over. How much you will get to see depends, of course, on how long you intend staying in Barcelona but here we’ve put a few ideas together of those things you just have to do while staying in this wonderful city. The Basílica de la Sagrada Família is a huge Roman Catholic church in Barcelona, designed by Spain’s most famous architect, Antoni Gaudí whose work on the building has become part of a UNESCO World Heritage Site. Construction started on this magnificent piece of architecture over 130 years ago in 1882 by architect Francisco Paula de Villar. Gaudí started to get involved in 1883 and transformed it by combining Gothic and Art Nouveau styles. Gaudí devoted his last years to the project, and at the time of his death at age 73 in 1926, less than a quarter of the project was complete. Tickets to look around inside (which takes about an hour) start at 15€ and there are discounts for students and seniors, kids under 10 can go in free. The beautiful area known as the Gothic Quarter used to be the Roman village and still retains much of that history. Combine that with modern buildings right next door and you have a curious mix of old and new that attracts visitors from all over the world to experience. Try not to get lost though as the narrow, winding streets are quite a maze and the best tip here is to always look up, you’ll be surprised what’s there! The impressive cathedral at its heart and its stunning courtyard are well worth the visit alone! 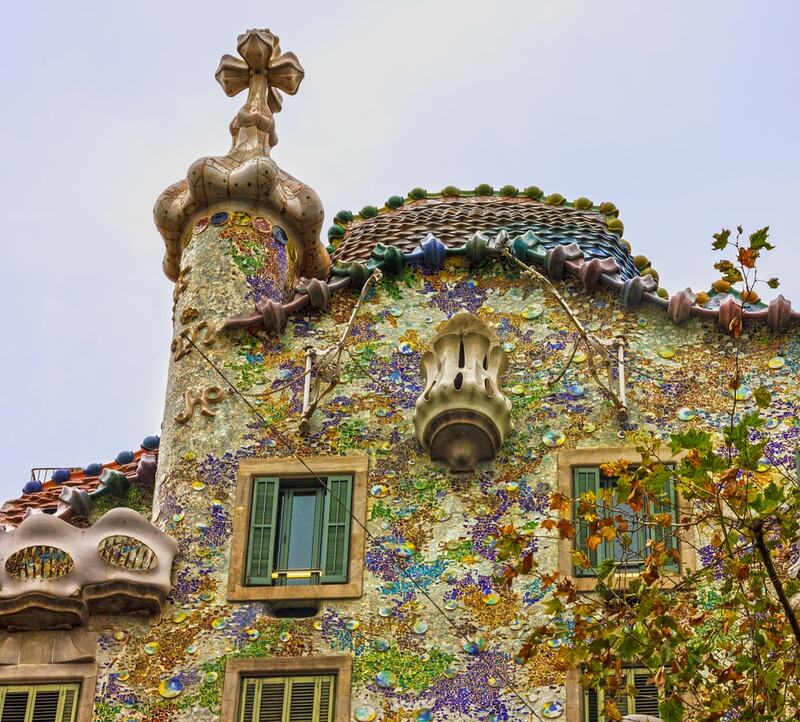 Gaudi began this project in 1904 and created his masterpiece that still has people guessing. It’s rumoured that its turret and roofline represent the sword of St George (patron saint of Catalonia) plunging into the dragon. You will not fail to be amazed by this building from its multi-coloured mosaic frontage to the roof terrace where you’ll find mythical Chimneys and the amazing Stairwell. You’ll also see the beautiful and stunning Entrance Hall and the Main Staircase. Tickets are from 23.00€ and are well worth it. Again there are discounts for students and seniors and kids under 7 can go in free. Built between 1905 and 1908 for the Orfeó Català choral society with financial contributions coming from the rich and famous of Barcelona, this beautiful building was declared a UNESCO World Heritage Site and these days attracts over half a million people a year who go to attend musical recitals and shows at the Palau that range from symphonic and chamber music to jazz and Cançó (traditional Catalan songs). Once inside you’ll see that in curves dominate and there are few straight lines, with dynamic shapes being preferred to static forms. The decoration uses floral and organic emblems to give the feeling of peace. With discounts for students and seniors, kids under 1 free and adult prices from just 18€ the Palau de la Musica Orfeo is a must see! The Passeig de Gràcia used to be a small rural lane lined by houses which led from Barcelona to Gràcia, which was then a separate town. The avenue that you see today was a playground for aristocrats to display their horse riding skills and show off their smart horse-drawn carriages. 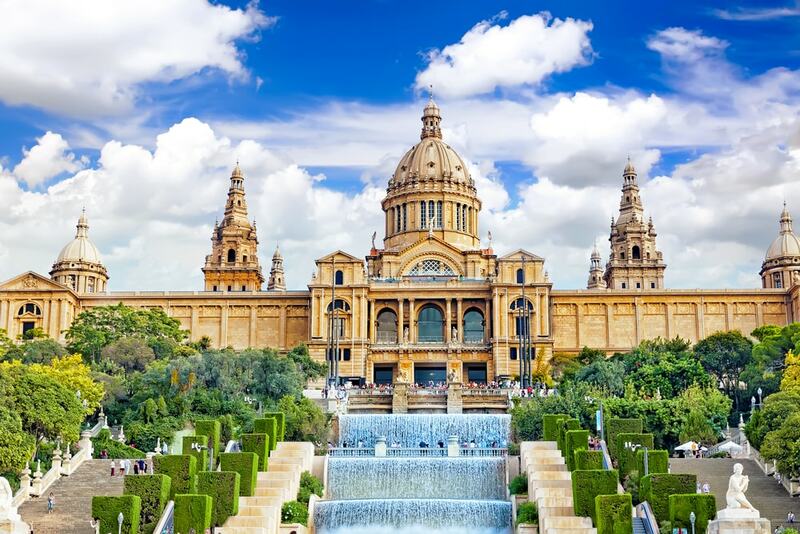 These days it retains that charm and elegance with beautifully designed buildings and some of the best shops in Barcelona to wander in and out of. Once again the advice is, keep looking up! When in Barcelona make the most of your time by hiring a new car with Goldcar at the very best prices. Holiday rentals with promotions and offers for anyone looking to make the most of their time in Spain.